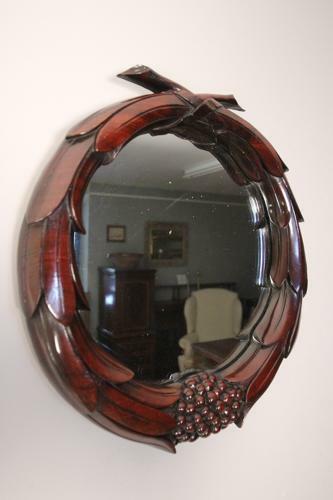 A stunning super quality mid 19th century circular mirror with a solid carved Mahogany frame. Retaining the heavily foxed mirror plate. Having a deep rich colour and patina throughout. English, Circa 1850.